Paint By Design Inc. (est. 2001) has a reputation for high quality paint and refinishing services. From design consultation and color selections, to excellent surface preparation, a must for a quality finish, to final finish, our expert service and attention to detail puts us above the rest. Workroom & Showroom Welcome to Ella's Design Studio Your custom window treatments, custom upholstery, re-upholstery and furniture repair workroom serving the Tri-State Area and surroundings. 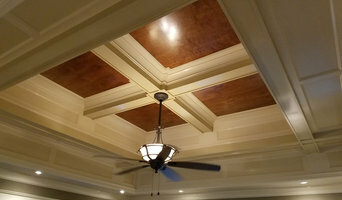 With over 25 years of experience and an extensive knowledge of custom drapery, upholstery and frame making, we can handle all of your projects from start to finish with the highest attention to detail, superior workmanship and our exceptional customer service for results that are unmatched in the area. A full service “one stop shop” for interior designers, from measuring to installation; tell us what you need and we will work for you and with you under your direction. Our Services Include: Custom Window treatments: Draperies, Cornices, Valances, Swags, Custom Shades: Roman Shades, Motorization, Hard Shades, Shutters, Upholstery: Re-upholstery, Body & Spring work, Refinishing and Repair, Custom Furniture, beds, Headboards, Cushions, Custom Bedding: Bedspreads, Duvets, Shams, pillows, Bolsters, Bed skirts and more... Our exclusive showroom features an extensive library of fabrics, trims, hardware, wallpaper books, and accessories. Together with our experienced workroom staff, we are dedicated to helping you achieve the perfect expression of your design style from concept to installation. We are focused on providing high-quality service and meeting your expectations. We're sure you'll be happy working with us, as we will accommodate your needs and style. We are fully insured and offer an in-home measure & installation service, as well as pick up & delivery; we will assist you and provide the best possible treatment options for any difficult window shape. THE SQUARE DECORATORS “Changing People’s lives one space at a time” We are your one-stop resource for creating a new look for your home or any workspace. 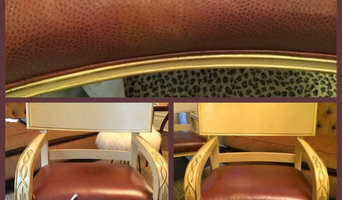 Custom upholstery and Re-upholstery, widow Treatments, Slipcovers, Cushions, Pillows, Furniture Restoration. Whether you found an elegant antique at a thrift store or have a family heirloom in need of sprucing up, working with a craftsman that does furniture refinishing in Fairfield, CT may be the best choice for you. Older pieces can offer superior craftsmanship and time-honored style, so restoring wooden furniture can be worthwhile, especially if you’ve got a piece with a good frame. You’ll want to make sure any project honors the look of your antique and will last for years to come, so finding a skilled Fairfield, CT wood refinishing professional can be a wise investment. When you come across a piece that looks a bit weathered and rough, it can be difficult to know how much it can be fixed up. If an antique is unpainted, has a strong, solid frame and was made sometime prior to the 1950s, it’s likely of good quality and simply needs a little care. Paint jobs can hide nicks and stains, but if the piece just looks a little faded and worn, a craftsman skilled in refinishing furniture in Fairfield, CT will be able to make it look brand new again. Essentially, the best candidates for antique furniture restoration are of an older construction, before manufactured materials and lesser craftsmanship filtered into the market. 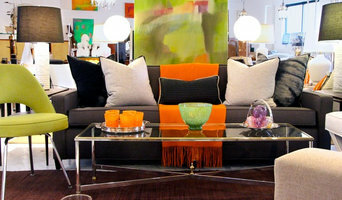 You should also take into account the difference in color before and after a project. A pro experienced in refinishing wood furniture will be able to explain how different woods will look. If you’re still unsure how realistic a project will be, a Fairfield, CT furniture refinishing professional can offer expert guidance. When you contact a local furniture restoration company in Fairfield, CT, they’ll evaluate your piece’s condition, wood type and what look you hope to achieve. The first step in the process is stripping and sanding your piece before applying a new varnish. While this is a time-consuming and meticulous task, experienced Fairfield, CT furniture refinishers should be able to complete the job with precision and care. A pro can also work to repair small dents, cracks or stains. Finally, the contractor will apply lacquer for a durable finish, and work with you to choose a stain that will be fitting for the piece. When considering different finishes, take into account how your refinished furniture will blend with the rest of your decor, and how true you hope to stay to the original look. The price and timeline for different projects, like refinishing a table or a chair, can vary depending on the piece and how much work needs to be done. 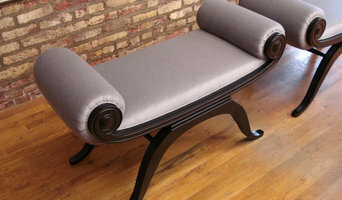 But a Fairfield, CT furniture restorer will be able to give you an estimate ahead of time.